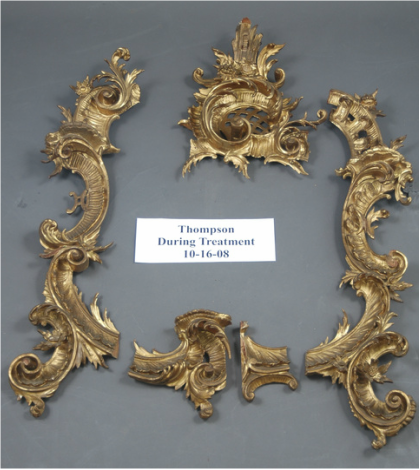 Schuettinger Conservation Conservation provides comprehensive treatment for all gilded surfaces including cleaning and consolidation of water and oil gilded surfaces, the replacement of losses to missing cast or carved elements, and the ingilding and toning for visual integration. 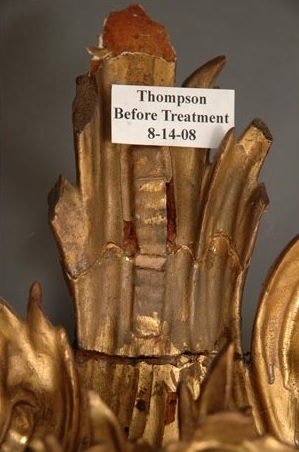 Below: An English Geo. 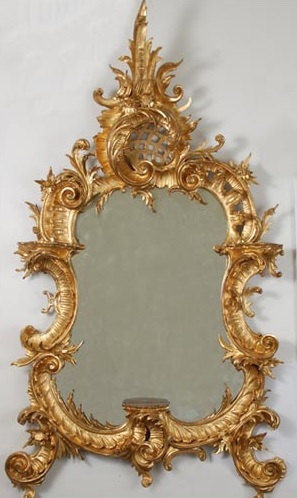 III Period or possibly an American Colonial Period Rococo Style carved gilt mirror, Ca. 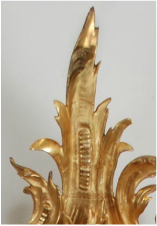 1765, that as part of the treatment, our firm replaced the losses to the carving, losses to the various layers of the gilded surface and consolidated and stabilized the loose gilding layers. 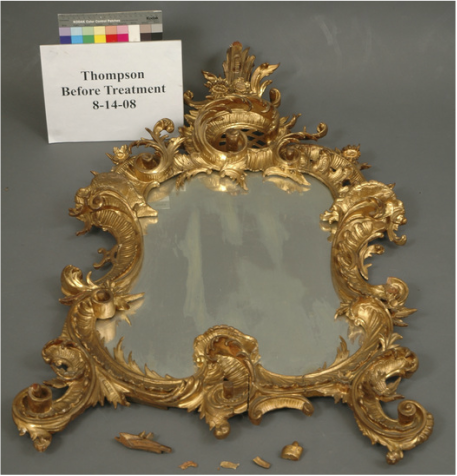 Below: An Renaissance E. Howard regulator wall clock in the collection of the United States Treasury Department which had 23k gold oil gilding and 24k shell gold replacements for losses.